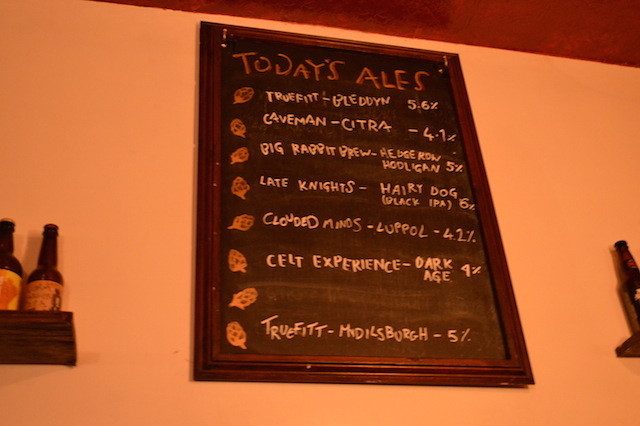 "Late Knights brings you crafty arsed beer," says the Twitter feed of the London Beer Dispensary. They're not wrong. 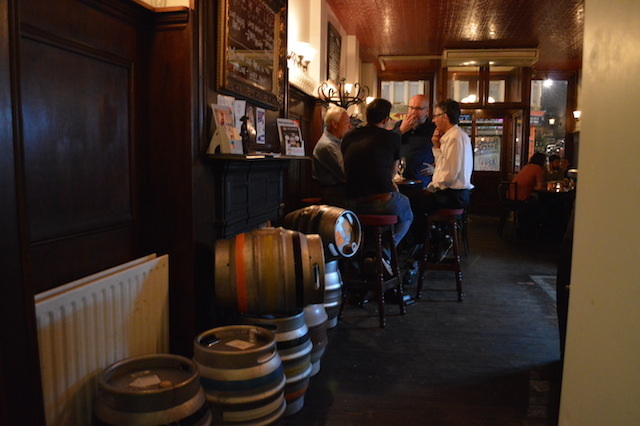 Barrels are packed behind a very clear lack of bar — in a bid to bring staff and punters closer together, they've got rid of the physical barrier between thirst and salvation. 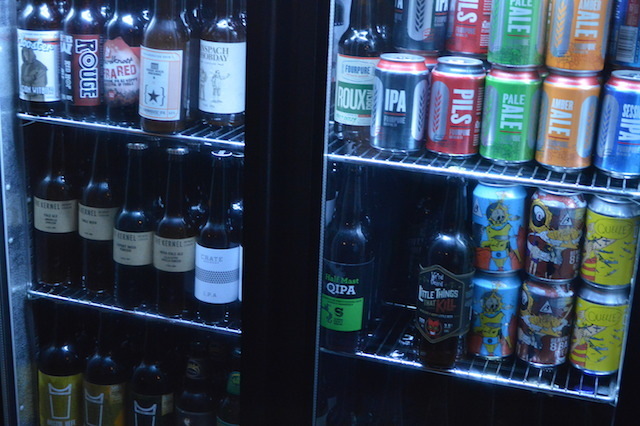 Fridges line the walls, rammed with bottles and cans of every type of craft beer you can imagine. 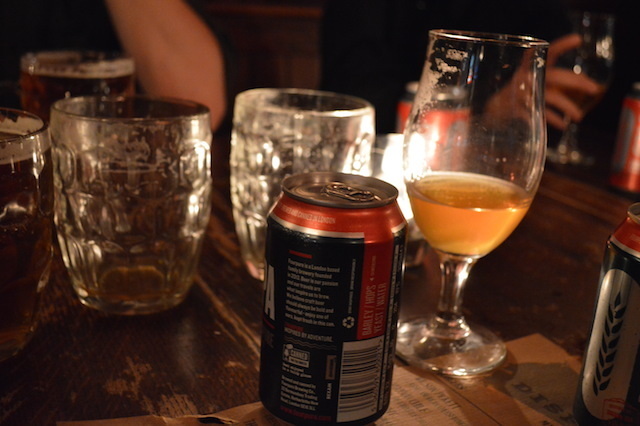 The selection is remarkable and the variation in the numerous drinks Londonist sampled during our visit was splendid. One chocolatey stout in particular had us purring like a monarch denying part of her nation independence, not that we can now remember what it was called. 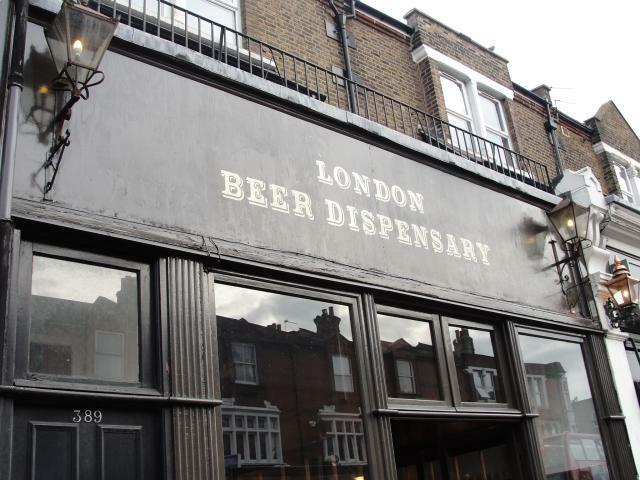 Unsurprisingly the Penge-based Late Knights Brewery is keen to promote its own range in its own bar and by doing so they are able to keep prices reasonable, bucking the trend for craft beers to take an innumerable toll on your wallet. 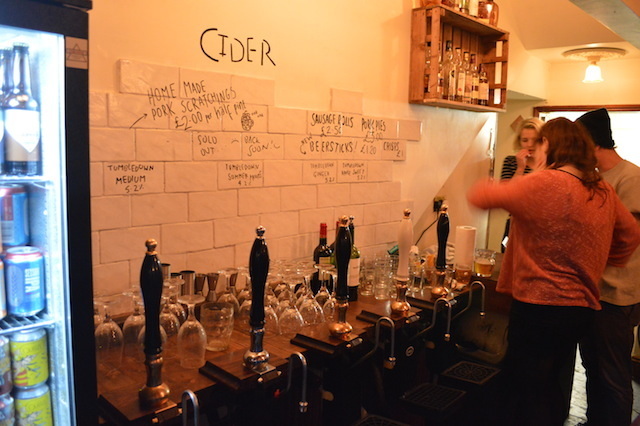 It's not just beer, there are ciders too. Wine and spirits are available though not really the point. 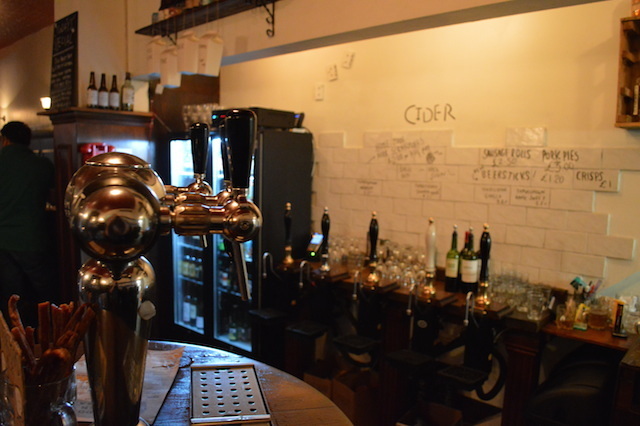 You're not encouraged to pour your own pints, but you can manhandle the bottles and cans in the fridges to your heart's content; despite this, it definitely still feels more like a pub than an off-licence. 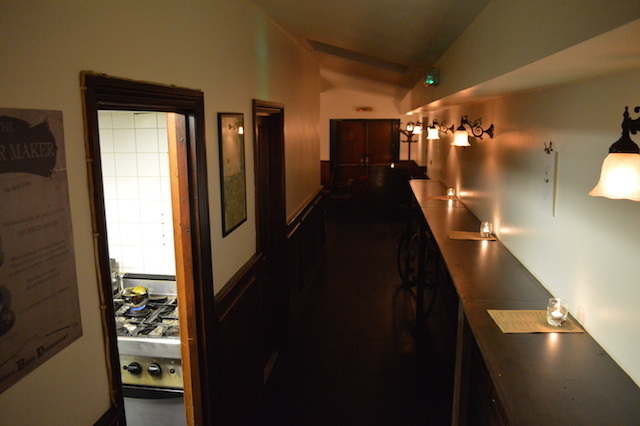 Seating and decoration is adequate and also not really the point. There's a small garden out the back as well. 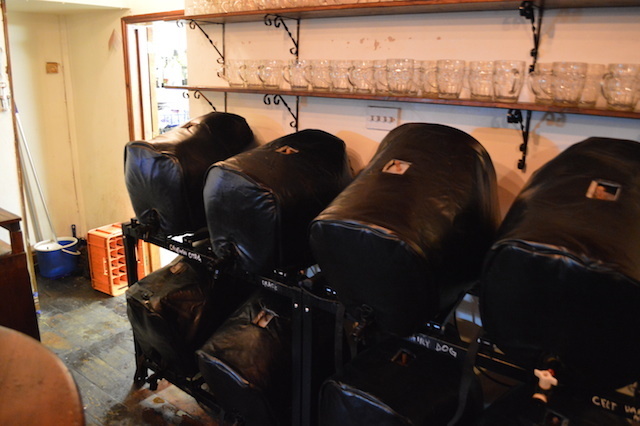 One particularly enjoyable feature is the four-pint 'growlers' they sell to allow wobbling punters to take some of the Dispensary's excellent beer home with them. 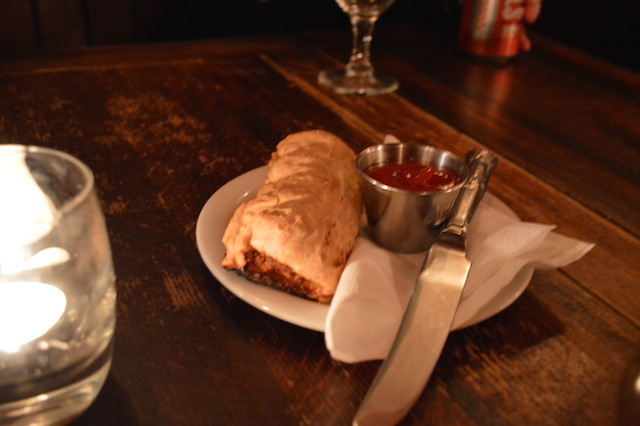 That sausage roll in the photograph was bloody lovely too. Um, who nicked the bar? 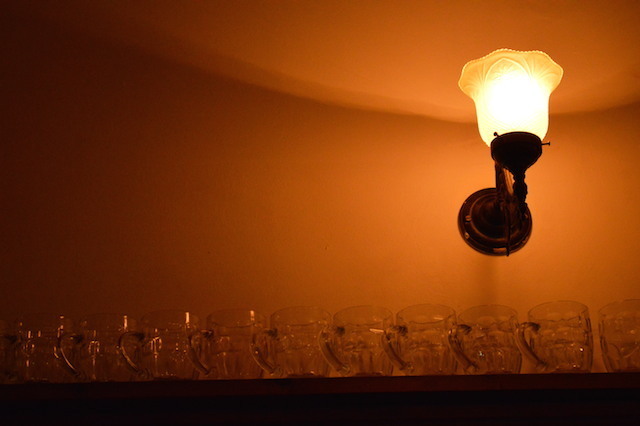 Bottles and cans, we just clapped our hands. A corridor. Not sure why. 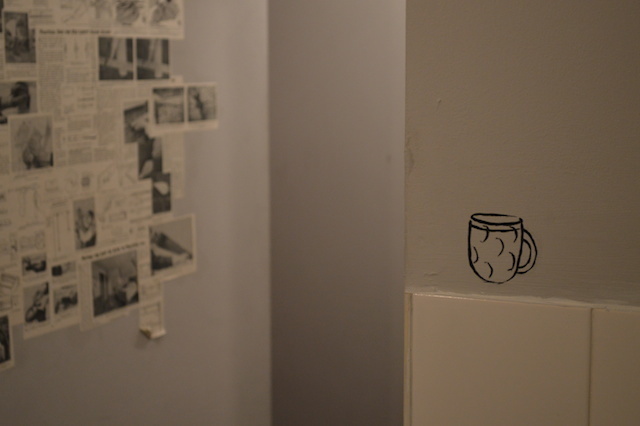 The beer even extends into the Gents. Now, where's my air rifle?